This beautiful condominium is located minutes away from the famed Daytona International Speedway, home of the Daytona 500. 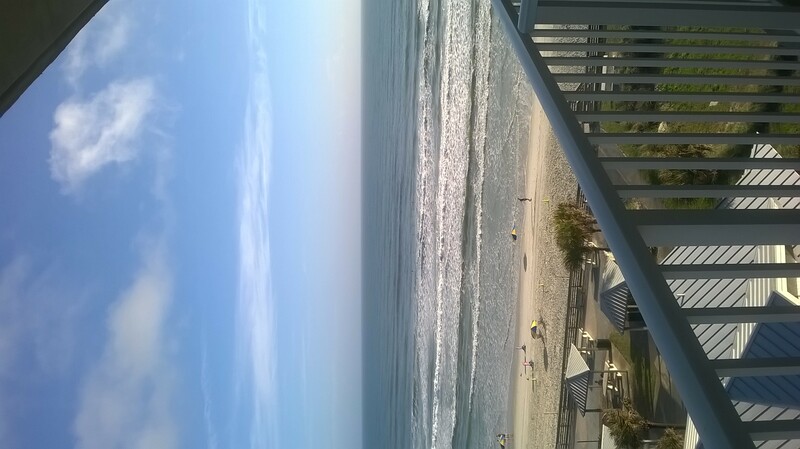 It is within easy walking distance to the Main St Pier and the Boardwalks. It gives you a wonderful view of the Beach looking onto the Pier. You can access the beach directly from the buildings pool area. The unit is set up for comfort with a large sectional, 42 inch Sony LCD TV, DVD, in the living room, along with a 20 inch TV in the bedroom. The kitchen is equipped with a large breakfast bar, full size refrigerator, microwave and stove. The unit also includes binoculars for people watching off the 7th floor balcony. The unit is non-smoking, but there are ashtrays for the balcony areas. We pride ourselves in this rooms cleanliness, and satisfaction is guaranteed. Thank you for your interest.